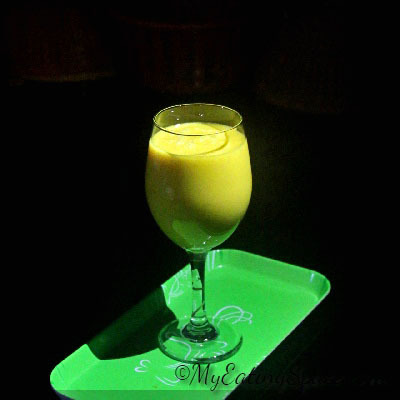 Mango milkshake is the best summer drink I ever had, especially during the mango season. We have a mango tree at home which used to bear fruit in alternate years. 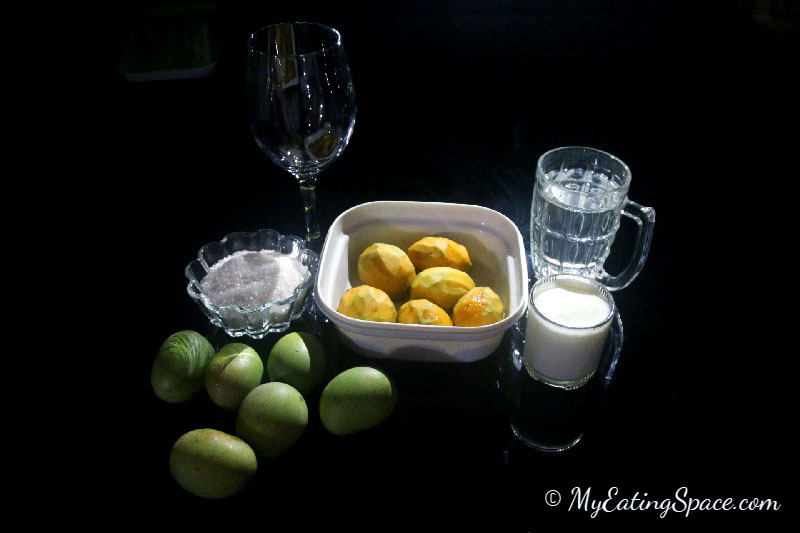 The naatumanga- the small sweet mangoes, had been a part of my life since childhood. Almost all the houses in Kerala used to have a naatumanga tree at that time. 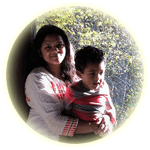 We, me and my cousins, used to sit under the mango tree waiting for the wind to come so that the mangoes will be dropped from the tree – one of the fondest memories of my childhood…. We never climbed the tree as it was very large and wide and the branches were high. :), the good children. The mango milk shake I am sharing today is prepared by my amma and photographed by my brother…Thanks, Rosh 🙂 Now the mango season is back in Kerala along with the extremely hot summer and everything is mango in the kitchen. 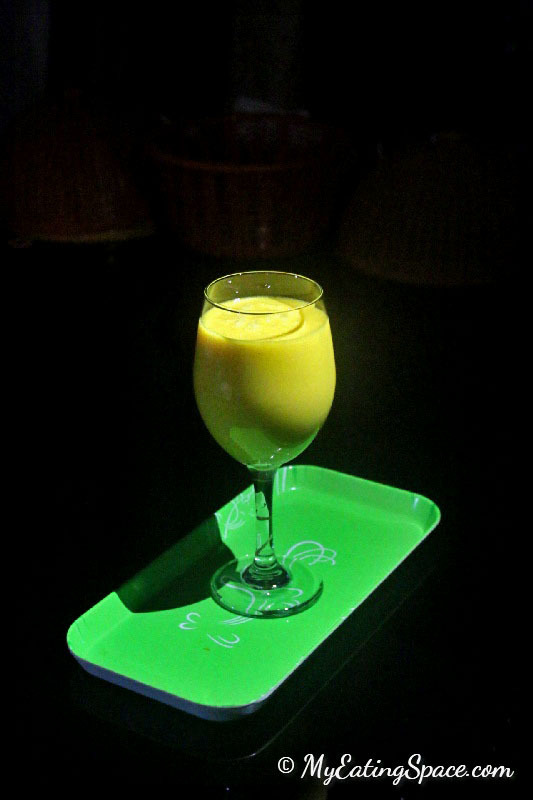 A seasonal summer drink made with mango and milk. The cool drink is healthy and tempting that will be finished in a gulp. Wash and peel the mangoes. slice and put it in a blender. Add sugar and blend just to crush the slices. Then add the milk and water and blend well to make a smooth and thick shake. Transfer to a bowl. Chill if you wish or serve immediately. 1.Adjust the sweetness as per your taste and sourness of the mango. 2. Add more water if you want a less thick milkshake. You will definitely want to finish the mango milkshake in a gulp, but don’t do that. If you want to get the real flavor and taste, have it little by little and you will be in the heaven of flavors. Check the other mango flavor, Vegan Mango Avocado Smoothie.